Stock status is current as of 4/19/2019 4:49 PMET. 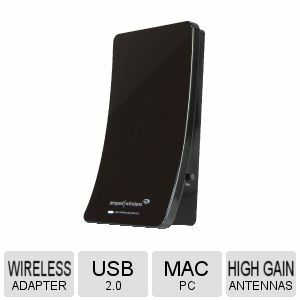 Get network around your house or small office with the Amped Wireless USB Adapter. 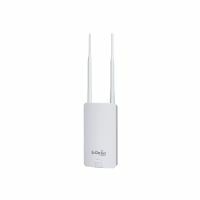 This Adapter connects to yout Mac or PC with more range and is compatible with 802.11 N, B, G. It has a 2.4GHz Dual High Power 500W Amplifiers and Dual Low Noise Amplifiers along with High Gain Dual Directional Antennas with a speed capacity of 300Mbps. 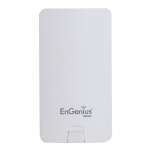 This USB Adapter has two USB 2.0 Ports Get the Amped Wireless High Power Wireless USB Adapter now! 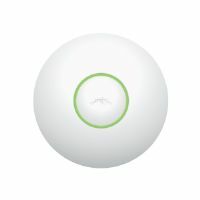 Amped Wireless logos are registered trademarks of Amped Wireless. All others trademarks and copyrights mentioned herein are the property of their respective owners.